Skanect uses .SKN files, a format designed specifically for that program. These files are generated during scanning, and you can view their contents by looking in the Scans folder created during installation. The Scanner app and most of our other apps create .OBJ files. This file type is similar to .SKN, but the data is stored in a different structure. That's why the two are incompatible. 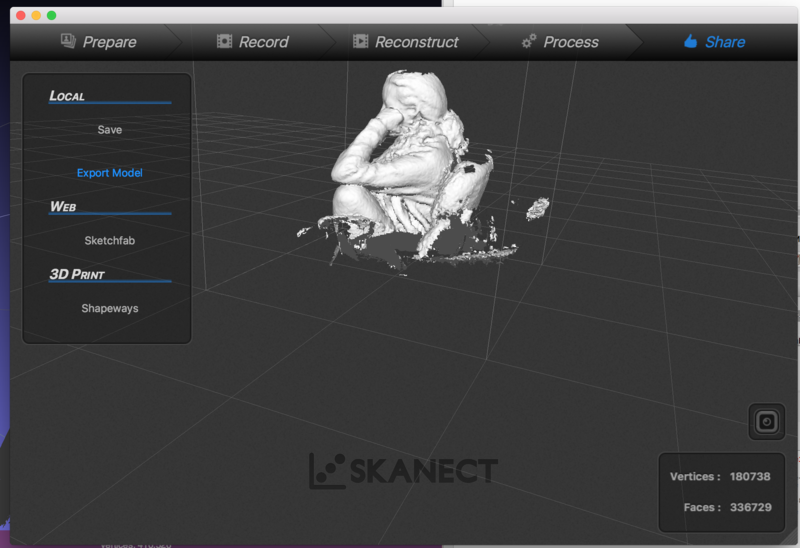 However, you can easily convert from .SKN to .OBJ using the "Share" page in the Skanect scanning flow toolbar at the top. The Export function is located on the left side of the "Share" window.